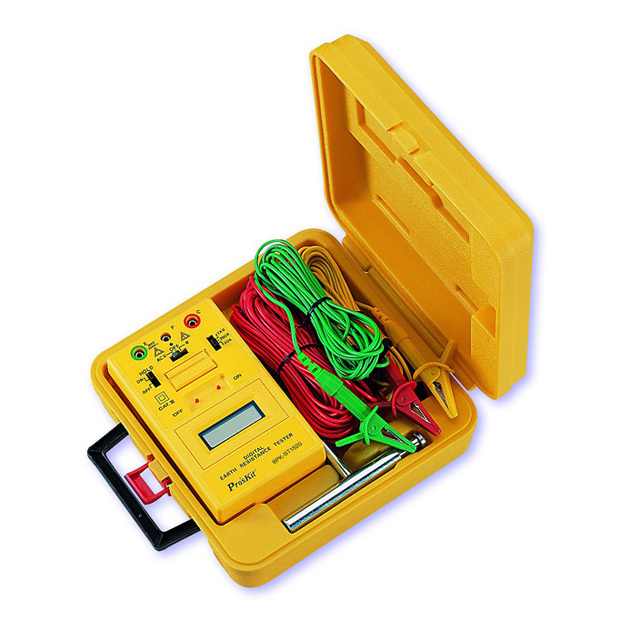 Measurement system Earth resistance by constant current inverter 820Hz APPROX. 2mA. Power source 1.5V(SUM-3) x 6. Type AA. Accessories Test leads (red 15m yellow-10mgreen-5m), Auxiliary earth bars.